A.M. Best - Source for insurance company ratings, analysis and information. Access Strteet - Acts as a referral and packaging agent for small businesses looking for SBA loans from lending institutions. The online application improves lending efficiency and enables business owners access to low rates and loans with longer terms. Accurint (owned by LexisNexis) - Provides access to millions of data records on individuals and businesses. AFL-CIO Executive PayWatch - Search by company name, ticker symbol, industry, total compensation. AKE Group - Provides security and political risk management to businesses, NGOs and the media. Alacra - Business information and reports from premium databases includes company fundamentals and financials, credit research, earnings estimates, economic data, filings, market and investment research and news. AllBusiness - Small business news, information and services, including human resource materials, sales and marketing solutions, expert advice on Internet and technology issues, and a marketplace that consolidates business-related purchasing into one, convenient location. AllPages - U.S. business directory, yellow pages, phone book. American Chamber of Commerce in the People's Republic of China (AmCham China) - Represents U.S. companies and individuals doing business in China. The chamber membership comprises more than 3,500 individuals representing more than 1,000 companies. Amfibi - Business directory. Browse or search for detailed company profiles and categorized business information. Annual Reports: The Public Register's Annual Report Service (PRARS) - Company financials, including annual reports, prospectuses and 10k's on over 3,600 public companies are available without charge. AnnualReports - Provider of online annual reports. Asia-Pacific - Experts, resources and data for effective strategic management. Asia-Pacific Economic Cooperation - Regional vehicle for promoting open trade and practical economic cooperation. Association of Sustainability Practitioners (ASP) - Supports the development of effective management for the 21st century as the world of work adapts to a new economic model. Automatic Data Processing, Inc. (ADP) - With nearly $9 billion in revenues and over 585,000 clients, ADP is one of the world's largest providers of business outsourcing solutions. ADP offers a wide range of HR, payroll, tax and benefits administration solutions from a single source. ADP is also a leading provider of integrated computing solutions to auto, truck, motorcycle, marine and recreational vehicle dealers throughout the world. Also see ADP Tools and Resources, including Calculators and Tools and Compliance Connection. Baker Library (Harvard Business School) - Its collections, both physical and digital, cover most aspects of management including such specialties as accounting and control, agribusiness, banking, business and economic history, commerce, economic philosophy, finance, information technology, international business, management education, manufacturing, marketing, political economy, and transportation. Better Business Bureau (BBB) - Check out a company, file a complaint, dispute resolution, consumer and business guidance. BizEd Internet - High quality Internet information for students, researchers and practitioners in the areas of business, management and economics. The Internet Catalogue contains over 2200 resources. BizWeb - Web business guide to over 43,000 companies in 192 categories. Bloomberg BNA - A leading source of legal, tax, regulatory, and business information for professionals. Bloomberg Government - Comprehensive, subscription-based, online tool collects data, provides high-end analysis and analytic tools, and delivers deep, reliable, timely reporting from a team of more than 2,300 journalists and multimedia specialists worldwide. Blue Mountain - Delivesr world-class security solutions for a diverse range of private, corporate and government clients around the world, having operated in Afghanistan, Iraq, Pakistan, the Caribbean and across Europe, for clients that have included: BAT, BG Group, Cadburys, Cannon, CapGemini, DHL, Excel, Google, Jaguar Landrover, Lufthansa, Motorola, Orange, OSCE, Romec, Sealed Air, Sony and Viacom. BRINT - Risk management resource. BNET - Business, management, strategy, marketing intelligence for managerial professionals. Bureau of Labor Statistics (BLS) - The BLS is the principal fact-finding agency for the U.S. Federal Government in the broad field of labor economics and statistics. Business - Business search engine and directory helps users find companies, products, services, and business information. Business 2.0 - Business and technology news from Business 2.0 magazine updated daily along with investing, marketing, research, company news and information including Business 2.0 lists and the Business 2.0 web guide. Business Council of New York State, Inc. - Statewide business organization advocating public policies to improve the business climate in New York. Business Information Sources - A selective guide to Internet sites containing business information, with emphasis on UK sources. It is organized by type of information. Maintained by Sheila Webber. Search engines, company directories, company profiles, country information, news sources, and more. Business Legal Resource Center - Articles, guides, resources. Business Researcher's Interests - A research jumpstation for business research, international business, intellectual property, information policy, web strategy, marketing, and information systems research. Business Roundtable - An association of chief executive officers of leading U.S. corporations. Business Wire - Business Wire is the leading source for press releases, photos, multimedia and regulatory filings from companies and groups throughout the world. Business Zone - UK site with business news and resources, including information on 1.7 million companies, in-depth industry reports, travel agents directory, consultants directory, training and conferences venues directory and more. BusinessGreen.com - News and advice for firms trying to reduce the environmental impact of their business operations, including reports on corporate social responsibility (CSR); green computing initiatives; paperless office technologies; efficient server and desktop equipment; low-power-consumption processors; teleworking, teleconferencing and telecommuting; technologies that can eliminate or reduce the need for business air travel; recycling and ethical disposal or IT equipment; plus other methods of reducing corporate CO2 output. CalGOLD - Provides businesses with information on permits and other requirements of California agencies at all levels of government, including addresses, telephone numbers, and links to agency Internet web pages. California Business Search - Search for California corporate and LP/LLC records. California Department of Corporations - Regulates HMOs, the offer and sale of securities, franchises and off-exchange commodities, and transactions involving certain fiduciaries and lenders. California Manufacturers and Technology Association (CMTA) - Works to preserve a strong business climate for California's 30,000 Manufacturers, processors and technology based companies. California Secretary of State Business Programs - Through this portal find information you need to start and file a business entity in California. Access information relating to business entity and other statutorily required filings, trademarks, service marks, UCC financing statements and notary public commissions. See general information, forms, and fees for corporations, limited liability companies, limited partnerships, general partnerships, limited liability partnerships, trademarks and service marks, and miscellaneous filings. Additional sections include: California Business Search, Starting a Business, E-file Statement of Information, Forms/Samples, Notary Public, Uniform Commercial Code, Special Filings. Capgemini - Conslulting, technology and outsourcing services. Caribbean Business Committee North America (CBCNA) - Official register of Caribbean professionals, businesses and services. CCH Business and Finance ($) - A leading provider of business and finance products for research, planning and compliance. Centurion Risk Assessment Services - Prepares people both mentally and practically for dangerous work in extreme conditions. These people are usually in the news media, international organisations, humanitarian aid agencies, charities and other Non-Governmental Organisations (NGOs), and commercial businesses. CEO Express - Sifts through world wide web information and critically selects the links that you need. Chicago Business Directory - Portal. China Market Research Group (CMR) - A strategic market intelligence firm headquartered in Shanghai, China. CNNMoney - Breaking business news on U.S. and international companies and newsmakers, earnings & stock quotes. Companies House - Registers companies in the UK and provides Company Information. comScore, Inc. - Maintains massive proprietary databases that provide a continuous, real-time measurement of the myriad ways in which the Internet is used and the wide variety of activities that are occurring online. Congressional Budget Office (CBO) - Provide the Congress with objective, timely, nonpartisan analyses needed for economic and budget decisions and with the information and estimates required for the Congressional budget process. CORI Contracts Database - The CORI K-Base is a growing Knowledge Base of Contract information, featuring a library of executed contracts and contract forms for a wide array of transaction types and industries. Over 600,000 contracts can be accessed using our full-text search engine. First-time users must complete a free registration. Corporate Affiliations - Provides corporate linkage information on more than 170,000 of the most prominent parent companies and their affiliates, subsidiaries and divisions-down to the seventh level of corporate linkage. CorpTech Database - Premier site for research on America's technology manufacturers and developers - 50,000 private and public companies creating tomorrow's high-tech products. CSCt - Provides a corporation, limited partnership, or limited liability company with a registered agent and/or registered office in the state where it is incorporated and the states in which it is qualified to conduct business. CTAdvantage - Provides business and law firms with a full range of corporate and UCC services, from compliance filing, public record searching and document retrieval, to specialty services such as statutory representation, authentication, annual meeting and staffing services. Custer Battles LLC- Managing external risks and crises for governments, multinational corporations and humanitarian relief organizations. D&B - Maintains the world's largest business database containing information on more than 100 million businesses worldwide including 38 million in the United States. A leading provider of business information for credit, marketing, and purchasing decisions worldwide. DealLawyers - This blog, an educational group that offers research on legal issues surrounding deal activity, dissects M&A flow based on both obscure and widely known legal issues. It evaluates private-equity involvement, recent arbitrations, cross-border transactions and other issues. It also examines deal technicalities like lock-ups, stapled financings and M&A accounting. Downsides to the blog, though, are that it's written with a lot of jargon and postings can be a little sparse. Decision Strategies - Specializes in all aspects of corporate, criminal and financial investigations, background and due diligence inquiries, security audits, protecting proprietary information and in gathering litigation intelligence. Decision Strategies' clients include corporations, leading law firms, financial institutions, government agencies, foreign governments and businesses and private individuals. Delaware.gov: Business - State of Delaware business services. Delaware: Division of Corporations - Official site for State of Delaware, Department of State, Division of Corporations. The State of Delaware is a leading domicile for U.S. and international corporations. More than half a million business entities have made Delaware their legal home including 280,000 corporations and 250,000 limited liability companies and partnerships. More than 50% of all publicly-traded companies in the United States including 58% of the Fortune 500 have chosen Delaware as their legal home. Dialog (owned by ProQuest) - Its database catalog contains descriptions for more than 1,200 databases available on the Dialog and DataStar services. Directory of Corporate Archives in the U.S. and Canada - Includes companies that maintain their historical records themselves as well as companies that contract with historical consulting firms to maintain their archives collections. Disclosure - Financial and business information on U.S. and international companies. DiversityInc - National magazine providng information on benefits of diversity to businesses. Doing Business - Provides measures of business regulations and their enforcement across 183 economies and selected cities at the subnational and regional level. By gathering and analyzing comprehensive quantitative data to compare business regulation environments across economies and over time, Doing Business encourages countries to compete towards more efficient regulation; offers measurable benchmarks for reform; and serves as a resource for academics, journalists, private sector researchers and others interested in the business climate of each country. In addition, Doing Business offers detailed subnational reports, which exhaustively cover business regulation and reform in different cities and regions within a nation. These reports provide data on the ease of doing business, rank each location, and recommend reforms to improve performance in each of the indicator areas. Selected cities can compare their business regulations with other cities in the country or region and with the 183 economies that Doing Business has ranked. Doing Business in China - 2009 Country Commercial Guide for U.S. Companies from U.S. & Foreign Commercial Service and the U.S. Department of State. Duke/CFO Magazine Global Business Outlook Survey - This survey "is conducted quarterly. The survey polls CFOs of both public and private companies around the globe." Provides a press release, summary of key results (for the U.S., Europe, Asia not including China, and China), an optimism index, detailed data tables, survey questions, and industry analysis based on the survey response data. Past results go back to 1996. From Duke University's Fuqua School of Business and CFO magazine. e-Secretary of State Information - Links to state-specific information about corporations, state corporation filing fees, and contact information for each of the 50 State Offices responsible for corporate filings. East Asia and the Pacific on the Rise - World Bank reports and resources. Ecomp Executive Compensation - Access to current executive compensation data on more than 32,000 executives at more than 9,000 U.S. public companies. Economic Indicators - Available from April 1995 forward, this monthly compilation is prepared for the Joint Economic Committee by the Council of Economic Advisors and provides economic information on prices, wages, production, business activity, purchasing power, credit, money and Federal finance. Economic Information Systems (EIS) - Provides free analysis of economic conditions and trends for the nation, all 50 states, and 60 metro areas, with data and charts that may be downloaded for use in your reports. Economic Policy Institute (EPI) - The mission of the Economic Policy Institute is to provide high-quality research and education in order to promote a prosperous, fair, and sustainable economy. The Institute stresses real world analysis and a concern for the living standards of working people, and it makes its findings accessible to the general public, the media, and policy makers. EDGAR Online People - Searches SEC Filings by a person's name or displays all people associated with a specific company name. EIU - From the Economist intelligence unit - subscription or pay as you go options available, "analysis and forecasts on more than 200 countries and eight key industries. EMIR - Provides CEOs of multinational companies and family conglomerates with the market intelligence, governmental insights, network and HQ support needed to succeed in the Middle East and Africa. Employer ID Numbers (EINs) - An Employer Identification Number (EIN) is also known as a Federal Tax Identification Number, and is used to identify a business entity. Generally, businesses need an EIN. You may apply for an EIN in various ways, and now you may apply online . You must check with your state to make sure you need a state number or charter. Entrepreneur Books: Small Business And Investing Book Reviews - Reviews books about investment, entrepreneurship, small business, personal finance, and careers. Ethisphere - The research-based Ethisphere Institute is a leading international think-tank dedicated to the creation, advancement and sharing of best practices in business ethics, corporate social responsibility, anti-corruption and sustainability. The Institute's associated membership group, the Ethisphere Council, is a forum for business ethics that includes over 200 leading corporations, universities and institutions. The Ethisphere Council is dedicated to the development and advancement of individuals on its membership council through increased efficiency, innovation, tools, mentoring, advice, and unique career opportunities. Ethisphere Magazine, which publishes the globally recognized World's Most Ethical Companies Ranking, is the quarterly publication of the Institute. Europages - European business directory. Has 1,500,000 European and international suppliers, manufacturers and distributors listed in its directory. ExecutiveJet/NetJets - Industry-leading program of fractional aircraft ownership, offers companies and individuals all the benefits of private flying at a fraction of the cost. Offers clients the finest light, midsize and large cabin aircraft in the world, including: Boeing, Cessna, Falcon, Gulfstream and Raytheon. ExecutivePlanet - Business etiquette, customs, and culture in top U.S. trading partner nations. Factiva from Dow Jones - Provides access to a collection of more than 14,000 business sources that include: The Wall Street Journal, the Financial Times, Dow Jones and Reuters newswires and the Associated Press, as well as Reuters Fundamentals, and D&B company profiles. Fast Company - A company research directory. FedBizOpps.gov - U.S. overnment contract opportunities. Financial Disclosure Law Library - A collection of laws and regulations on financial and business interest disclosure for public officials (referred here as "financial disclosure" but also known as "income and asset disclosure"). It offers access to over 1,000 laws and regulations across 176 jurisdictions worldwide. The Library also provides information on closely-related topics such as restrictions on public officials' activities. Financial Scandals - Links to information on frauds, scams and scandals in banking, finance, and related areas. Financial Times - World business, finance and political news. FindLaw: Corporate Counsel Center - Articles, news, business contracts, court dockets and research tools for aerospace, defense, automobile, construction, consumer products, drugs, biotech, energy, financial services, banking, food, agriculture, health care, insurance, manufacturing, media, entertainment, natural resources, real estate, retail, services, technology, telecommunications, transportation, travel, leisure, hospitality, utilities, wholesale, arbitration, mediation, alternative dispute resolution, bankruptcy, class action corporate governance, environmental govenrment relations, intellectual property, labor and employment, litigation, mergers and acquisitions, private equity, securities, tax, tax-exempt organizations, white collar crime corporate counsel, corporate lawyers, in-house counsel, in-house lawyers and business lawyers, lawyers and attorneys. Forbes - Business information services and lifestyle editorial content designed to serve the needs of business leaders, professionals, investors and affluent consumers. Daily original reporting on the business of technology; real-time business information news updates; complete online editions of Forbes magazine, Forbes Global, Forbes ASAP and Forbes FYI; a powerful search engine with the option to access all current and archived Forbes content or to conduct a full Web search; stock and mutual fund stock quotes, and comprehensive company profiles; Best of The Web guide; interactive tools, calculators and databases, including the annual Forbes Lists. Forbes: Executives and Directors Search - Tracks thousands of corporate executives and directors. Forbes: The World's Billionaires - The definitive list of the world's wealthiest people, profiling and ranking billionaires from 70 countries by their estimated net worth. Forrester Research - Identifies and analyzes emerging trends in technology and their impact on business. Customer trends, business strategy, technology investment. Fortune 500 Business Blogging Wiki - This is a directory of Fortune 500 companies that have business blogs, defined as: active public blogs by company employees about the company and/or its products. Fortune 500 Listing - Prepared by Fortune editor L. Michael Cacace. Forrester Research - A leading independent research firm that analyzes the future of technology change and its impact on businesses, consumers, and society. FreeEDGAR Data - Provides convenient searching features to access filings filed through the SEC's EDGAR system. FreeERISA - Source for the latest available pension and benefit information for U.S. employers. Gangs of America - A history of the American corporation by Ted Nace. Global Options, Inc. - A multidisciplinary international risk management and business solutions company headquartered in Washington, D.C. Comprised of attorneys, crisis communications specialists, investigators, former senior policymakers and even commandos who can be mobilized in moments to protect you, your employees, corporate reputation, bottom line, and share holder value. Global Resource Directory - A directory of resources allows you to find information ranging from culture and economic information to trade tutorials, trade law or even statistical data sources. Global Window China - A complete portfolio of authoritative guidance and practical information on how to conduct business in the world's biggest market. This site is developed by the Anderson School at UCLA in association with China's Peking University and the UCLA Center for East Asian Studies. GlobeScan - Supplier of custom public opinion and stakeholder research services focused on corporate reputation and issues management. Good Jobs First (GJF) - GJF works with a broad spectrum of organizations as they seek to ensure that subsidized businesses are held accountable for family-wage jobs and other effective results. GJF frequently testifies before state legislatures, conducts workshops and training, and appears in the press. Unions, community organizations, religious groups, living wage campaigns, public officials, environmentalists, tax and budget advocates, and economic development practitioners consult with GJF when companies seek development subsidies, restructure, close plants, or become involved in other issues of public concern. Govcon - One-stop shop for government contractors: government bid opportunities, teaming partners, products, services, educational resources, career services, industry news, and more. GovernanceMetrics International - Serves as a central repository for research, study and critical thinking about the nature of the modern global corporation. Hands-On Corporate Research Guide - Interactive guide takes you step by step through researching corporations on the Internet. Hildebrandt International - Professional consulting service. 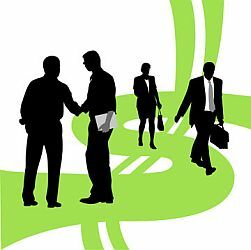 Hoover's Online - The Business Network - Focuses on companies, industries, and the people who run them; money management, career development, news, and business travel. HR Hub - Information about the human resources and training industries. Daily news updates and business reports cover industry trends in the areas of employee relations, health and safety, information technology, federal legislation and regulatory agency actions, and much more. HUBCO - Services, including incorporating your business, LLC or non-profit, notary supplies, corporate kits and registered agent. I Paid a Bribe - An initiative of the Janaagraha Centre for Citizenship and Democracy,a non-profit organisation based in Bangalore, India, "to tackle corruption by harnessing the collective energy of citizens. You can report on the nature, number, pattern, types, location, frequency and values of actual corrupt acts on this website. Your reports will provide a snapshot of bribes occurring across your city." IBISWorld - World's largest independent publisher of U.S. industry research. IBISWorld industry reports are used for understanding market size, competitors, drafting business plans, pitch books, benchmarking, forecasting, business valuations, litigation support, due diligence and more. ICON Group International - The world's single largest publisher of global market research and business intelligence. High-end reports and exportable spreadsheets cover 2,000 product categories across 200 countries, 2,000 cities and over 16,000 companies. Industry, Employment & Training Administration (ETA) - Helps businesses to understand the workforce system, identify their key workforce challenges, and connect to federal, state, and local resources. Inc - Information, products, services, and online tools for business and management tasks. Inc. 500 & Inc. 5000 - The annual list of the fastest growing private companies along with database of winners searchable by year, company name, keyword, state, and sector. IncorporateTime - Prepares and files all the necessary documents to form your corporation. Intelligence Indexes - Designed to help you gather competitive intelligence information. Contains links to over 600 intelligence-related Internet sites, covering everything from macro-economic data to individual patent and stock quote information. International Chamber of Commerce (ICC) - Business leaders and experts drawn from the ICC membership establish a business stance on issues of trade and investment policy and on vital technical and sectoral subjects. These include financial services, information technologies, telecommunications, marketing ethics, the environment, transportation, competition law and intellectual property, among others. ICC also provides essential services, foremost among them the ICC International Court of Arbitration, the world's leading arbitral institution. International Data Corporation (IDC) - Provider of information technology data, industry analysis and strategic and tactical guidance. International Market Assessment Asia (IMAA) - Helps clients clients monitor and assess political, economic and commercial developments across Asia. Provides country assessment briefings, workshops on key regional functions (human resources management, finance, and IT and e-commerce implementation in Asia), forecasting conferences, regional strategy roundtables, regular market analysis, research assistance and in-house reviews and presentations. Internet Business Technology Portal - Business and technology portal and global community network for e-business, information, technology, and knowledge management. Investext - Index to company, industry, and geographic research reports written by analysts at more than 600 leading investment banks, brokerage houses and consulting firms worldwide. INVgr - Business and investment in Greece. IQData Systems - Full document retrieval services are available for every jurisdiction in the U.S., including Secretary of States, County, Criminal, Civil, UCC, Tax Lien, Judgment, U.S. District and Bankruptcy courts and more. ISM Reports on Business - Reports from the Institute for Supply Management on purchasing and supply management profession, manufacturering and services. JapanFinancials - Translations, originals and official financial statements. All Tokyo Stock Exchange and major OTC firms. KPMG - Providers of assurance, tax and legal, and financial advisory services worldwide. KnowX: Public Information - Millions of records, each compiled from official sources and updated regularly. Kroll - Provides ntelligence and scalable technology solutions that help companies, investors and governments address business and legal risks, drive compliance and capitalize on opportunities. KYC News - Offshore business information on companies and individuals operating in countries where independent and accurate information is often difficult to obtain. Countries covered include Bermuda, Cayman Islands, Bahamas, British Virgin Islands, Turks and Caicos Islands, Antigua, Nevis and Panama. LABORSTA - View and extract data and metadata from LABORSTA, an International Labour Office database on labour statistics operated by the ILO: Department of Statistics. LABORSTA contains statistics for over 200 countries or territories. Laurier School of Business and Economics (SBE): Case Publications - SBE currently distributes case studies to institutions across Canada and the United States. Written by specialists in all functional areas of business, these cases focus on the development and implementation of business and economic policy. Leadership Directories - Publishes 14 personnel directories called Yellow Books. Taken as a whole, The Leadership Library provides detailed contact information for 400,000 leaders of 40,000 U.S. government, business, professional, and nonprofit institutions. LexisNexis - Business and legal information source. LexisNexis: Risk - Offering risk management, fraud prevention, background checks, employment screening, public records, and identity authentication and verification solutions. Los Angeles County Economic Development Corporation (LAEDC) - Established in 1981 with the mission to attract, retain and grow businesses and jobs in the Los Angeles region. MacRAE'S BLUE BOOK - Buyers guide/Yellow Pages to the products of over 120,000 industrial companies. MagPortal - Search engine and directory for locating online magazine articles from over 200 periodicals. Manta - Gives Web users access to data and analysis from the most trusted business publishers in the world, including D&B, Newstex, Snapdata, Datamonitor, and ICON. Millions of customers around the world use Manta to research competitors, prospects, suppliers, markets and more. Maporama - Global mapping, itinerary and directory capabilities in multiple languages. Marsh & McLennan Companies (MMC) - A a global professional-services firm. MMC is parent company of Marsh Inc., a risk and insurance services firm; Putnam Investments, one of the largest investment-management companies in the United States; Mercer Inc., a major global provider of consulting services; and MMC Capital, a global private-equity firm. Mercer - Global leader for HR and related financial advice, products and services. Mergerstat M&A - Includes more than 50,000 International transactions. Mergerstat covers U.S. transactions and crossborder transactions involving a U.S. parent company where the equity value is greater than $1 million and represents at least a 10 percent interest. moneylaundering - Authoritative source on money laundering. Covers legislative, regulatory and enforcement developments in the United States and the world and provides practical compliance guidance and analysis of laws and regulations. Moody's - Provider of independent credit ratings, research and financial information to the capital markets. Morningstar Document Research - Streamlines public company research by providing navigation tools for its global filings database. Users can choose to search by keyword with the help of multiple filters or use advanced multi-criteria queries to pinpoint content within a document. The pre-formulated searches in Knowledge Base jumpstart the search process for hot topics and industry-specific issues. Users can also save searches and automatically receive real-time filings alerts. Researchers can use this online resource to quickly search for information used in addressing SEC regulatory and GAAP reporting requirements, drafting legal agreements, due diligence, compensation benchmarking and competitive intelligence. MSN Moneyl - Stock company reports. Muddy Waters Research - Navigating business in China. Nasdaq-Amex - Quotes for Nasdaq, AMEX and NYSE and other market information. National Association of Secretaries of State (NASS): Corporate Registration - Business research, business registration and filing services adn links, UCC filings, licensing, notary services. National Council of Chain Restaurants (NCCR) - A division of the National Retail Federation comprised of nearly 40 of the largest chain restaurant companies in the U.S.
National Foundation for Women Business Owners (NFWBO) - Source of information on women business owners and their enterprises worldwide. National Retail Federation (NRF) - World's largest retail trade association with membership in all retail formats and channels of distribution including department, specialty, discount, catalog, Internet, independent stores as well as the industry's key trading partners in retail goods and services. New York City Economic Development Corporation - EDC assists NYC businesses and businesses that move to NYC through its business recruitment, financing initiatives, real estate development, property management and transportation and waterfront commerce divisions. Nelson's Public Company Profiles - Brief descriptions of 22,000 publicly tradedcorporations worldwide and include contact information, key executives and business descriptions. North American Industry Classification System Search - This page allows the user to search the 1987 version SIC manual by keyword, to access descriptive information for a specified 4-digit SIC, and to examine the SIC Division Structure. NowDocs - Document delivery and courier services of digital printing, binding, and copying, including same day, next day and courier delivery for all your business letters and documents. Offshore Leaks Database - This database contains ownership information about companies created in 10 offshore jurisdictions including the British Virgin Islands, the Cook Islands and Singapore. It covers nearly 30 years until 2010. Maintained by The International Consortium of Investigative Journalists. OSHA: Ergonomics - OSHA Ergonomics Safety and Health Topics page. PollingReport - Polling reports updated as new polls are released: politics, business, society. PR Newswire - Electronic delivery of news releases and information directly from companies, institutions and agencies to the media, financial community and consumers. Private Sector Development - World Bank Group resources: best practice public policy advice for private sector led growth in developing countries. Also see Privatization Tookits. Protecting Personal Information: A Guide for Business - From the FTC. Recorded Future - Recorded Future's linguistics and statistics algorithms extract time-related information and through temporal reasoning helps users understand relationships between entities and events over time, to form the world's first temporal analytics engine. Also see related Recorded Future, Predictive Signals, and Analysis Intelligence blogs. Red Flags Rule (FTC) - The Red Flags Rule requires many businesses and organizations to implement a written Identity Theft Prevention Program designed to detect the warning signs - or red flags - of identity theft in their day-to-day operations. By identifying red flags in advance, you'll be better equipped to spot suspicious patterns when they arise and take steps to prevent a red flag from escalating into a costly episode of identity theft. Take advantage of other resources on this site to educate your employees and colleagues about complying with the Red Flags Rule. Reed Business Information - A member of the Reed Elsevier plc group. Publishes many of the leading names in business publishing, including Computer Weekly, totaljobs.com, Estates Gazette, New Scientist, Flight International, Kelly's, Kompass, The Bankers' Almanac and Mardev. Relationship Science - Information about influential people - who they are and who they know, what you have in common with them, and how you can gain access to them and their organizations. Resources on the Internet for Business Journalists - Prepared by Ira Chinoy for SABEW Business Invesitgative Workshop on 05 Oct 04. Reuters Stock Information - headlines, company information, analyst research, industry watch. Rich's Insider's Guide to Northern California Companies - A database of over 30,000 firms in Northern California. Russia Corporate Governance Manual - All investors, operating in Russia, face political risks, inefficiency of corporate governance and weak judicial system. Recently investors witnessed numerous violations of minority investors rights by Russian issuers. Among such violations there are: misrepresentation of information, dilution, dividend delays, degradation of assets and diversion of cash flows. Rutgers University Libraries: Business Research Guides - Provides assistance in doing research in a variety of business and management topics, with descriptions of databases and hundreds of reference books in the collections of the Rutgers University Libraries. Links to more than 3,000 selected business and management-related Internet resources are included. SCoRE - A UK national catalogue of company reports. Scorecard - Profiles the environmental record of companies whose chemical release and waste management practices are tracked by major U.S. regulatory programs. Self Employed Advice and Resources - Source for self employed advice and information. Silberzahn & Jones - Blog is maintained by Philippe Silberzahn and Milo Jones. Research interests lie at the intersection of strategy, innovation, and entrepreneurship, intelligence analysis, and geopolitics. Small Business Administration (SBA) - Programs include financial and federal contract procurement assistance, management assistance, and specialized outreach to women, minorities and armed forces veterans. SBA also provides loans to victims of natural disasters and specialized advice and assistance in international trade. Smart Pros - Comprehensive online resource for professionals in accounting, financial services, human resources, insurance and law committed to delivering news, research materials, professional education and more to save you time and money, help you better serve your clients and enhance your career. Society of American Business Editors and Writers, Inc. - The largest association for business editors and writers in North America. Solusource - Find industrial product and company information from around the world in one place. Special Issues - A database of editorial calendars, special issues and content "mined" from trade and industrial magazine websites. Standard & Poor's Corporate Register - The SPCORP file, derived from the Standard & Poor's Register of Corporations, is the most comprehensive directory available of America's top corporations and their key personnel. Statement of Information: Corporations (California) - California Secretary of State's online filing for corporation Statements of Information. Authorized representatives may use this service to file an initial, annual or biennial statement for most corporations. Steele Foundation - Security and risk managment company specializing in the areas of physical threat assessments, social contingency planning, crisis management, architectural and personal safety and security, information and intelligence management, and corporate program development. Texas Business Association (TBA) - Texas' leading employer organization and employer's advocate. The List - Distilled, qualified intelligence with accurate profiles on more than 50,000 high-powered decision-makers. ThomasNet - An industrial search engine that provides one source for finding the exact product, service, or supplier. Top 200 Federal Contractors - Government Executive ranks the top 200 federal contractors by dollar volume of their awards from agencies in 40 different categories. Top 1000: Canada's Power Book - The 1,000 largest publicly traded corporations in Canada measured by assets. Trade Show News Network - Events, expos, trade shows, conferences and other related resources. Transnationale - Citizen's portal on corporations worldwide. Searches and publishes information about large companies: their structures, brands, influence on politics, world locations, working conditions and the respect of the environment, global social and financial strategy. Transparency International (TI) - TI, through its International Secretariat and more than 90 independent national chapters around the world, works at both the national and international level to curb both the supply and demand of corruption. This work This includes the monitoring of conventions concluded within the framework of the OECD, the Council of Europe, the European Union and the Organisation of American States. Special emphasis is placed on monitoring the OECD Convention on Combating Bribery of Foreign Public Officials. TI's Transparency International is one of the most comprehensive databases on corruption and governance. U.S. Business Reporter - News, analysis, research, and strategy in the world of business. U.S. Chamber of Commerce - The U.S. Chamber of Commerce is the world's largest business federation, representing nearly three million companies, 3,000 state and local chambers, 775 business associations, and 85 American Chambers of Commerce abroad. U.S. Patent Office - Patent full-text and full-page data images. U.S. Small Business Administration (SBA) - Services provided by the SBA and its partners. Business laws and regulatory assistance. News and events. Vance International Security Services - Executive protection, uniformed security officers, investigations, crisis management, asset protection, temporary labor, and security training. ViewsWire - Business intelligence on 203 Countries from the Economist Intelligence Unit. Wackenhut - Provides security and related services to a growing list of commercial, industrial and government organizations. Wall Street Executive Library - Directory of over 1,450 sources that includes: national/international news; company and industry, government, marketing and advertising, statistics and economic research. Washington State Business Records Public Records Database - Search for open and closed businesses registered with the Washington State Department of Revenue. Who Owns What - Columbia Journalism Review guide to what major media companies own. World Services Group (WSG) - A global membership association not unlike the Associated Press. Its members are large local, national and international providers of professional business services. WSG's primary purposes are to allow members immediate access to other members to assist their clients and to create new business opportunities by making each of the members easily accessible to purchasers of services. Worldwide Business Practices - Country-specific reports on international business practices, cross-cultural communication, negotiating, international etiquette, and more. WSJ: Small Business - Wall Street Journal center for small businesses and entrepreneurs. WWW Virtual Library of Labor and Business History - General business and labor history resources. Yahoo! Business Headlines - Yahoo! business news headlines. Yahoo! Finance - Aggregates news by specific providers, including: AP, Bankrate.com, bizjournals.com, BusinessWeek Online, Business 2.0, Daily FX, ETFZone.com, Forbes, Fortune, FT.com, Investor's Business Daily, Kiplinger.com, Law.com, MarketWatch, Morningstar.com, Motley Fool, Reuters, SmartMoney.com, TheStreet.com, TradingMarkets.com, USATODAY.com, The Wall Street Journal. Yahoo! Industry Center - Industry news and events: aerospace & defense, automotive, biotechnology & drugs, chemicals, computer hardware, computer software, construction, energy, financial services, healthcare, internet, media & advertising, retail, semiconductors, telecommunications, transportation, utilities. This webpage last updated on Monday, July 31, 2017 4:06 PM.